The Water Valley Casey Jones Railroad Museum is located in the Heart of downtown Water Valley, Mississippi. There is no charge for admission. 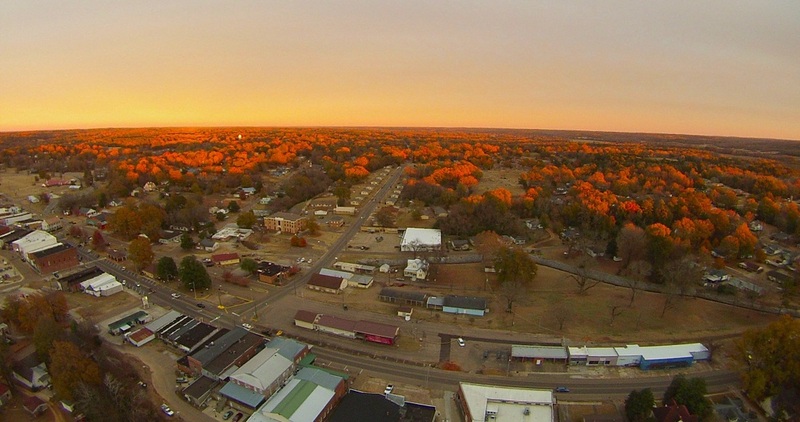 The Water Valley Casey Jones Museum is shown near the bottom center of this photograph taken in early November of 2014 as the setting sun lit the warm fall leaves.